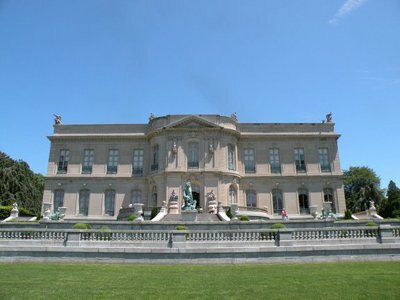 The Elms - Best Newport Mansion not built or owned by a Vanderbilt. 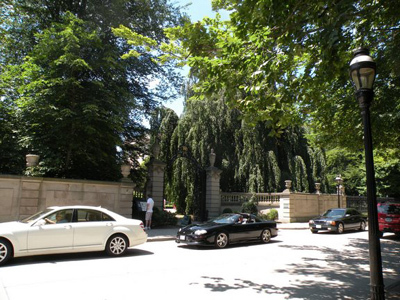 The Elms is definitely in the top 5 when it comes to Newport Rhode Island mansions. This beautiful property is a great place to spend a few hours enjoying the house, the grounds and even lunch (if you're here during the season). 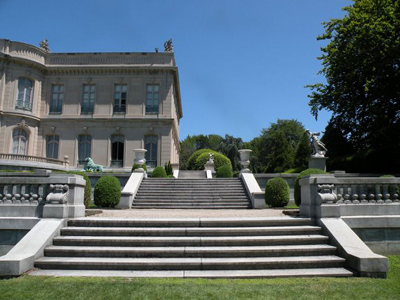 This stunning Newport mansion was the summer home of coal magnate Edward Julius Berwind. 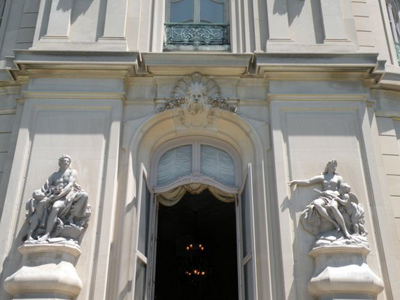 Mr. Berwind and his wife Sarah commissioned Horace Trumbauer to build them a home modeled after the French Château d'Asnières in 1898. The home was completed in 1901, and remained in the family until the early 1960's. It was purchased by the Preservation Society of Newport County in 1962, within weeks of being demolished (yes, they were really going to demolish it!). 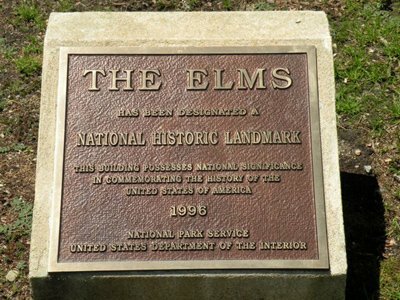 It became a National Historic Landmark in 1996. 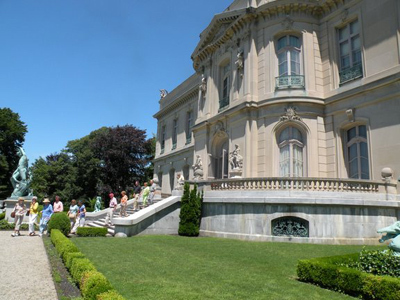 Despite not having an ocean view like many of the other Newport mansions, this property makes up for it by being one of the best overall Newport mansion tours. 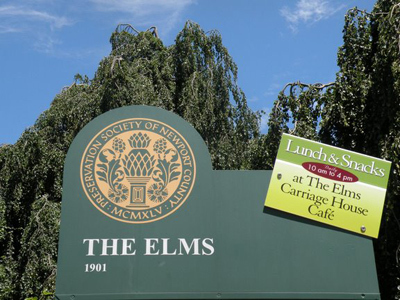 If you're going to visit The Elms, give yourself at least an hour to an hour and a half for the self-guided audio tour. If you really want to get the most out of the experience, be sure to check out the many extra options on the audio tour. For this, you may need 2 hours. 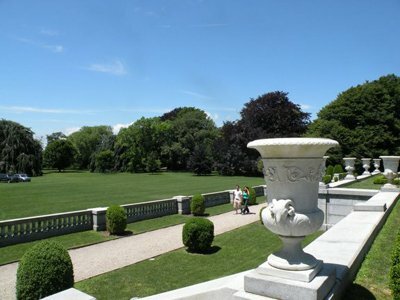 Although I admire the architecture and the ornate furnishings inside all of these palaces, I always find myself gravitating toward the rear of the house, with their expansive lawns and picture-perfect views. I like to imagine what it would be like to wake up here, come downstairs and enjoy a nice cup of coffee looking out at the gardens and all of the trees! 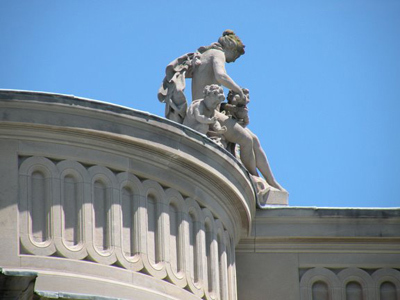 In addition to just touring the house, there are 2 other things you should do here if you have the time. 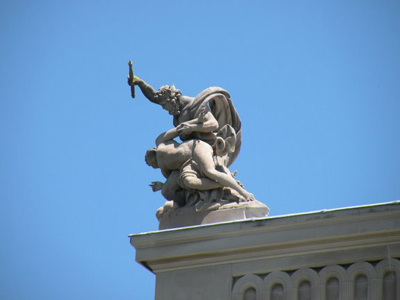 The first is the Rooftop/Behind the Scenes Tour. You may want to call ahead to reserve a spot (401-847-1000) because there is limited space on these tours. Hungry after all that walking around? 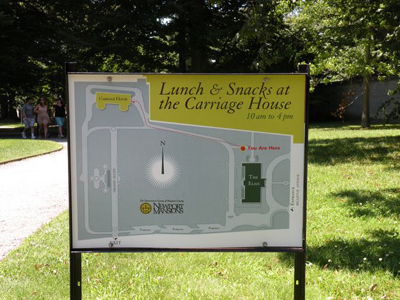 The second thing you should do is walk down the lawn and have lunch at the Carriage House Cafe. During the season you can enjoy a meal here between 10 am and 4 pm. 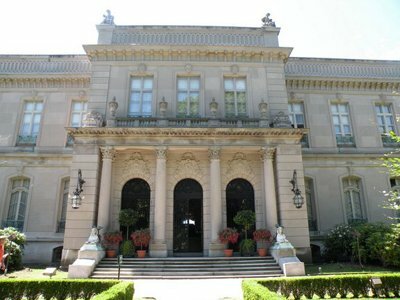 It's usually pretty crowded here, but this makes a good pit stop if you're going to continue touring other Newport mansions or attractions. Look up - they're even on the roof! I wouldn't turn my back on this one! Remember - call in advance for the Behind the Scenes Tour, and head down to the Carriage House for lunch during the season. Enjoy!